After the Congress waived loans of farmers in Chhattisgarh, Madhya Pradesh and Rajasthan, an umbrella traders' body on Thursday demanded low-interest loans for traders as well. 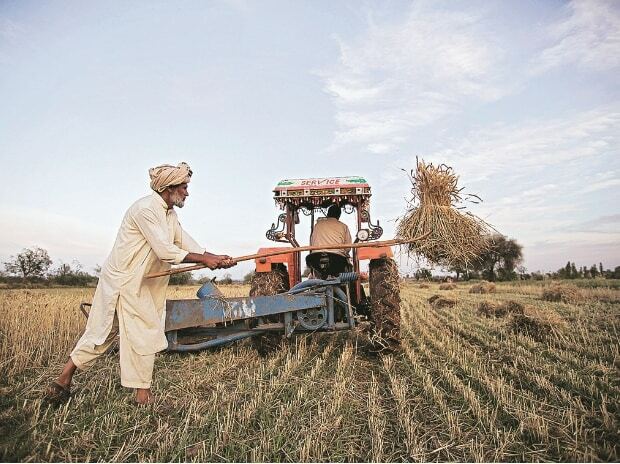 The Federation of All India Vyapar Mandal said farm loan waivers have become electoral weapons for parties, but it’s the small businesspersons and traders who are bearing the burden of loans that banks give them at high-interest rates. It said the Mudra scheme of the government has mostly remained on paper, and it was time the government asked banks to offer shopkeepers and traders loans at 8-9 per cent, similar to what big industrialists get. On Thursday, Rashtriya Janata Dal leader Tejashwi Yadav, Rashtriya Loktantrik Samata Party Chief Upendra Kushwaha, Loktantrik Janata Dal President Sharad Yadav and others addressed a press conference at 24, Akbar Road in New Delhi, the national headquarters of the Congress Party. The occasion was Kushwaha joining the Congress-led United Progressive Alliance. Until recently, Kushwaha was an ally of the Bharatiya Janata Party (BJP). The development has come in the wake of Chirag Paswan, son of Lok Janshakti Party (LJP) Chief Ram Vilas Paswan, also making public statements about his party being upset with its senior ally, the BJP. Chirag, 35, a Lok Sabha member is known to get along well with Tejashwi (29). When asked about their recent meeting and if there could be a possibility of the LJP joining the grand alliance in Bihar, Tejashwi recalled how they (Chirag and he) had last met in a television studio and Tejashwi had asked Chirag to get married soon so that he could then ask his own parents to look for a match for himself. The newly elected chief minister of Madhya Pradesh, Kamal Nath, has cancelled the nominations to president, vice-president, director and member of various corporations, councils, authorities and committees immediately after assuming office. All these political nominations were done by the previous Bharatiya Janata Party government. Some of these nominees were awarded the rank of minister. While many such office bearers resigned after the election results were announced, more than two dozen held on to their posts. There is speculation that some Congress bigwigs who lost the election might get some of these posts. The former leader of Opposition Ajay Singh, the former state Congress chief Arun Yadav and Suresh Pachauri are among those who lost their seats in the Assembly elections.